Join us for an evening with two Nobel Laureates who will share their life stories with students to inspire and encourage an interest in the sciences and related fields. Dr. Thomas C. Schelling – 2005 Nobel Prize in Economics for his work in understanding conflict, negotiation and cooperation through game-theory analysis. Often referred to as the “Father of Game Theory,” Schelling served in the Truman, Eisenhower, and Kennedy Administrations, and later became one of the founders of the Kennedy School at Harvard University. Dr. William Phillips – 1997 Nobel Prize in Physics along with two colleagues, for development of methods to cool and trap atoms with laser light, a technique used to slow the movement of gaseous atoms in order to better study them. Dr. Phillips works at the National Institute of Standards and Technology (NIST) in Gaithersburg. Proceeds will benefit the BCC High School Educational Foundation. Don’t Forget to Shop AmazonSmiles-and Designate the Foundation! Did you know that Amazon donates .5% of the price of eligible AmazonSmile purchases to the charitable organizations selected by customers? Please help us support critical programs at B-CC High School by designating the B-CC High School Educational Foundation when you shop! It’s easy to do: just click here! 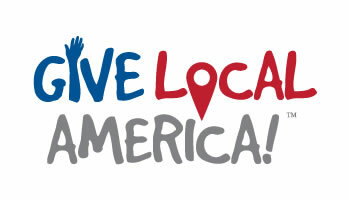 Give Local America Today and Support B-CC! The Give Local America fundraising campaign is today Tuesday, May 6th. 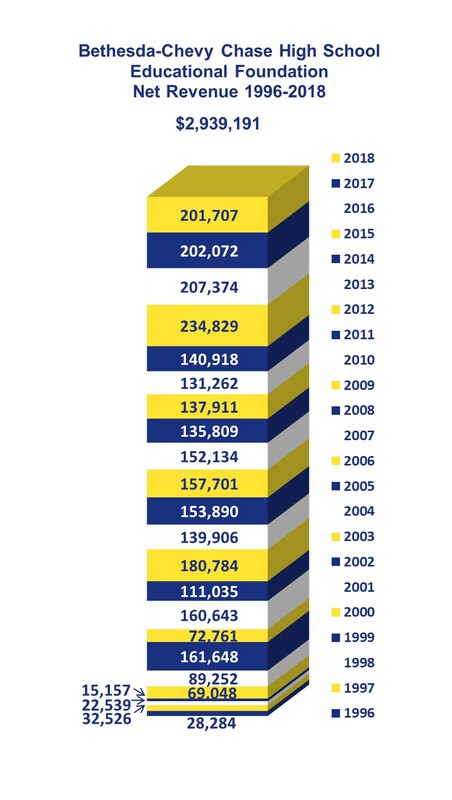 Please help make a difference for Bethesda-Chevy Chase High School students by donating generously to the Bethesda-Chevy Chase High School Educational Foundation. Our goal is to raise $10K to support our students. Where will that money go? We’ll send 75 of our neediest students to a special summer program to build their academic skills and their confidence. This year for the first time we’re hoping to include a Girls Empowerment Initiative. And we’ll help teachers launch brand new programs next fall that they’ve designed to enrich the curriculum for their students. Mark your calendars! On May 6th 2014, from 12:00a.m. to 11:59:59pm, our Foundation is participating in Give Local Greater Washington, an 24-hour online giving event for charities. Every donation will be stretched further if you donate to our organization through http://www.givelocalwashingtondc.org/#npo/bethesda-chevy-chase-high-school-educational-foundation. We hope you will consider supporting us on May 6th! Your donation will go a long way in helping us to ensure that every student graduates B-CC well-prepared for college and fulfilling careers. 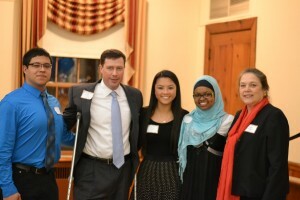 Foundation’s March Event is a Hit! It’s hard to go wrong with delicious food, friends, jazz and a good cause: On March 13, the Bethesda-Chevy Chase High School Educational Foundation’s annual “Evening of Wine, Chocolate and Cheese” proved to be another big success, as more than 200 guests attended and mingled with faculty, staff and alumni and enjoyed the music of the B-CC Jazz Band. The money raised will go to support the Foundation’s many programs at the school. The highlight of the evening was the presentation by three B-CC students who benefitted from three of the Foundation’s signature programs: Francis Navas-Ochoa, ’14, spoke about attending the Summer Academy the summer before his freshman year; Grace Rosen, ’16, explained how much the TAP program has helped her with Algebra II (see a quote from her speech to the left); and Jannah Madyun, ’11, who is now a junior at the University of Maryland, College Park, described her experience with College Tracks and how instrumental the program was in helping her get into college. B-CC Foundation President Matt Gandal and B-CC Principal Karen Lockard also spoke briefly about the importance of the Foundation to the school, and Foundation Secretary Bruce Rosenblum delivered advice to incoming parents and announced the winners of the drawing of gift cards from area merchants. More pictures from the evening can be viewed here. If you were unable to attend, you can still make your donation online.